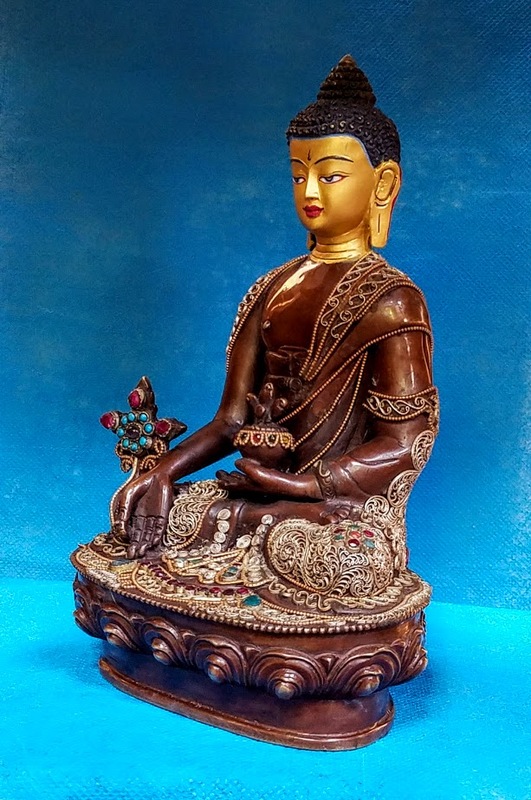 Bhaiṣajyaguru, (formally Bhaiṣajya-guru-vaiḍūrya-prabhā-rāja), "King of Medicine Master and Lapis Lazuli Light", is the Buddha of healing and medicine in Mahāyāna Buddhism and is said to dispense spiritual medicine when properly worshipped. It is also believed that an efficacious cure may be accomplished by merely touching the statue. 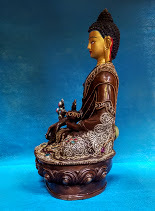 He wears a monastic robe and is seated crossed legged on the lotus throne. 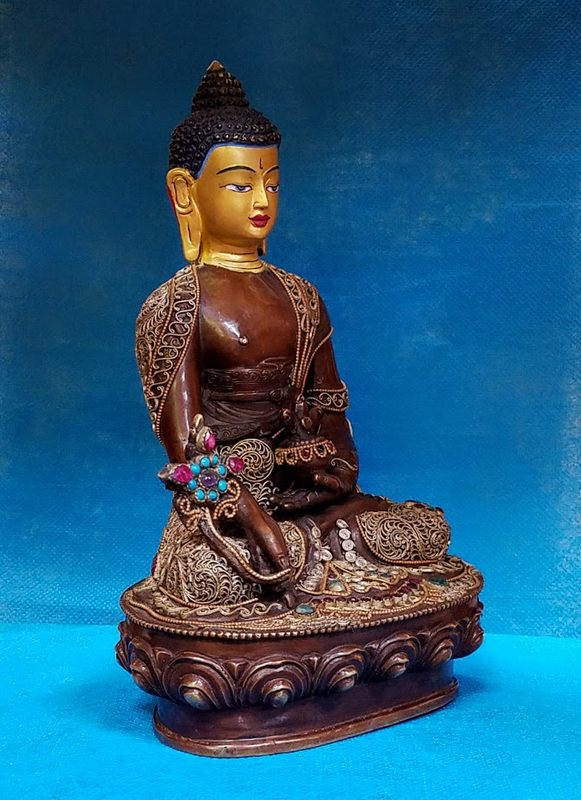 His left hand lies resting on his lap in a meditation pose holding a covered vessel that is believed to contain the healing medicines. 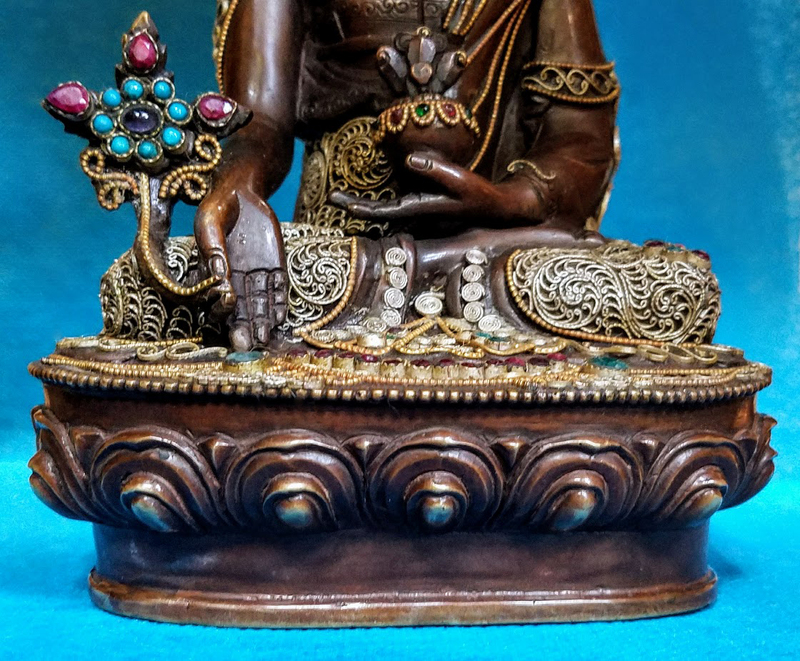 The right hand lies in a charity pose (touching the earth) and holds a branch of Myrobalan, a medicinal plant found in the northern parts of India and other tropical countries. 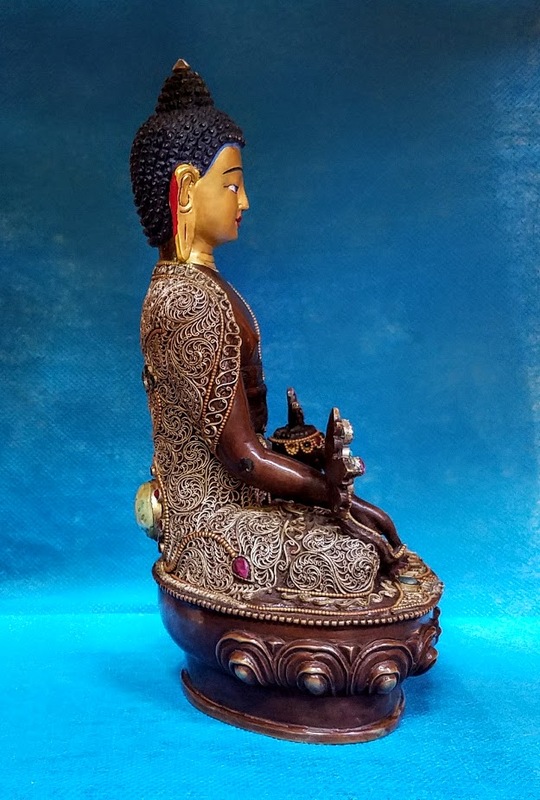 This figure is made of 'Panchalogam', the traditional five-metal alloys of sacred significance used for making Buddhist and Hindu temple dieties and idols. These five metals consist of gold, silver, copper, bronze and brass. 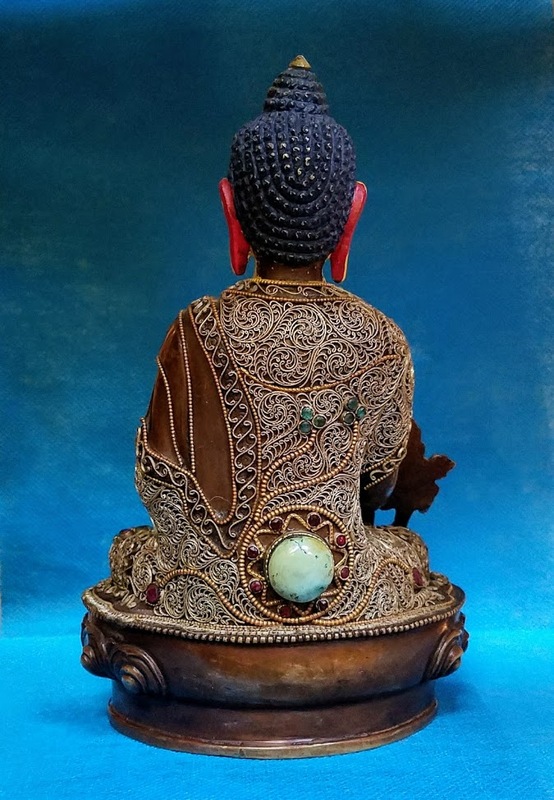 The cut faceted precious and semi-precious stones abundantly adorning this intricately detailed seated Buddha are that of turquoise (embedded to represent the medicinal flower), garnets or rubies, sapphires and emeralds. The elegant and finely detailed filigree handwork in silver, gold and brass outline, encircle and emphasize the robe layout and lotus throne. 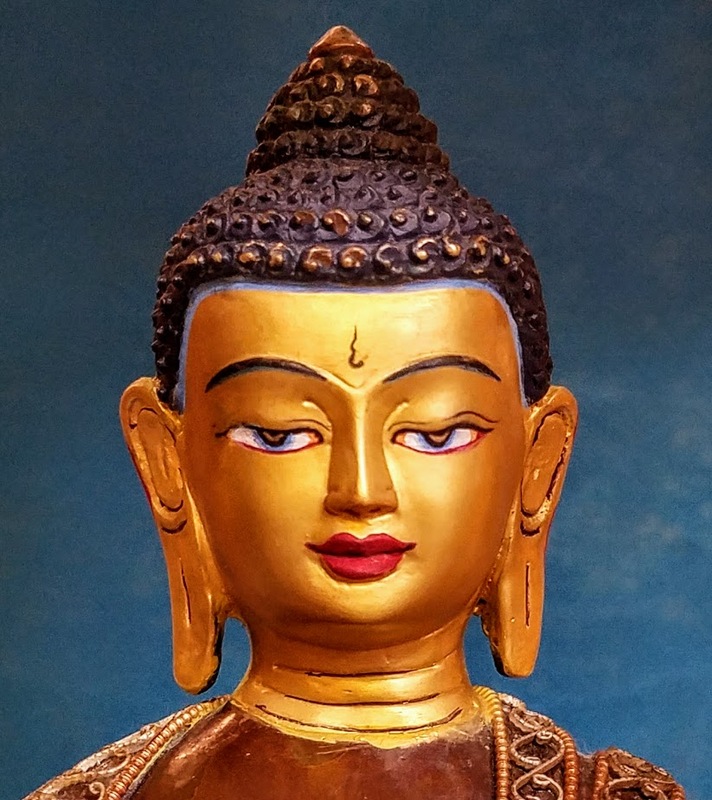 The face is painted with gold to show the glow on Buddha's face which is a sign of happiness, especially when helping those in need. 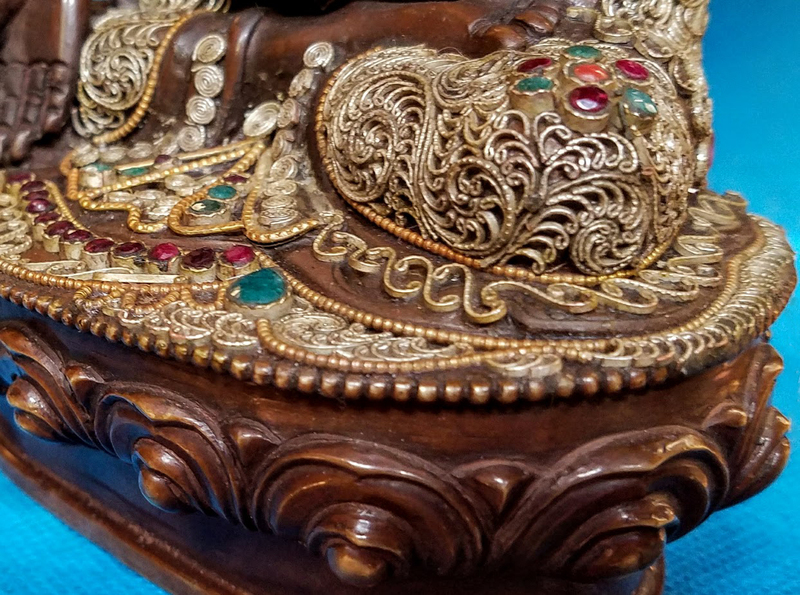 This heirloom piece was in a home altar of a local Bhutanese household for generations and is claimed to date from the early 20th century (approximately a 100 years old). 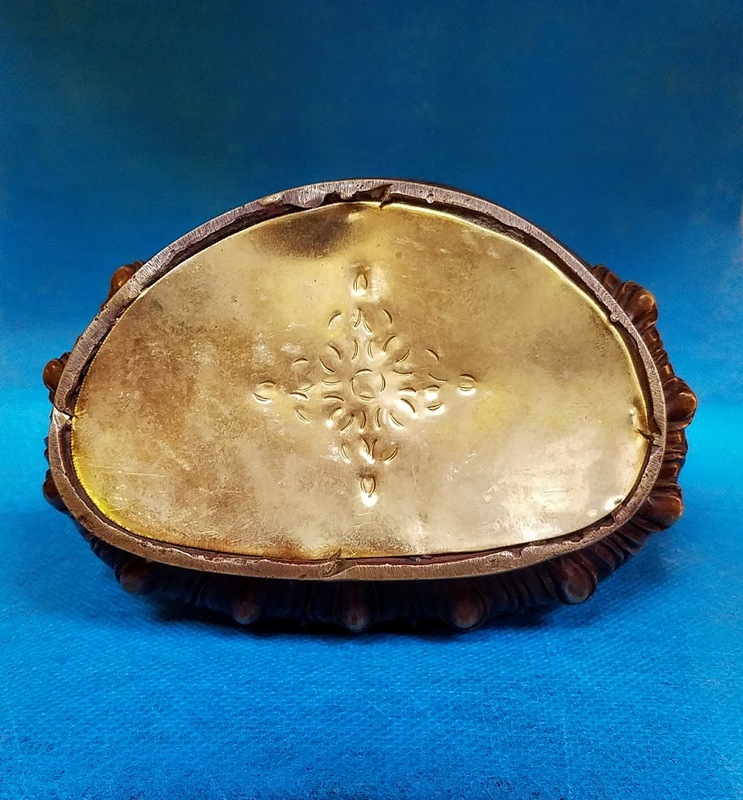 It measures 8.5" tall, 6.5" wide and 4" deep. 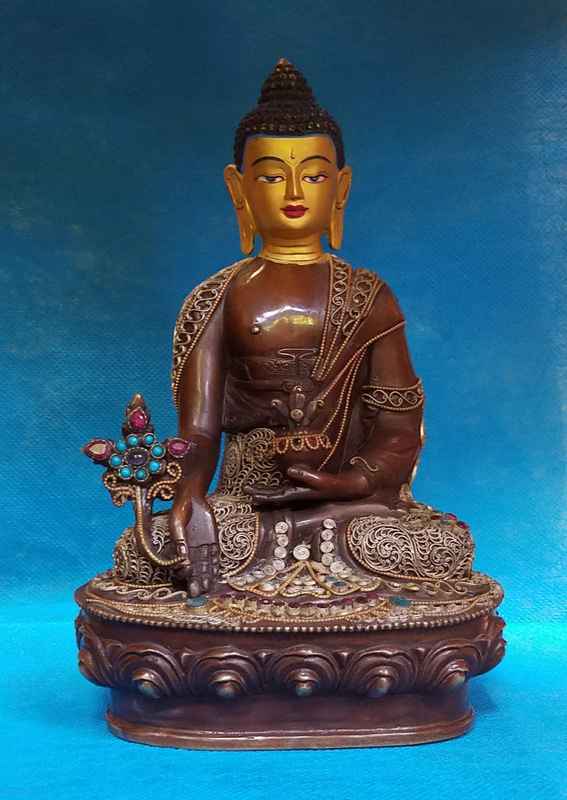 I personally acquired this rare and uniquely beautiful figure recently (April, 2017) in Paro, in the Kingdom of Bhutan (locally called 'Druk Yul', "land of the thunder dragon") which is nestled 7,200 feet above sea level in the eastern Himalayas. 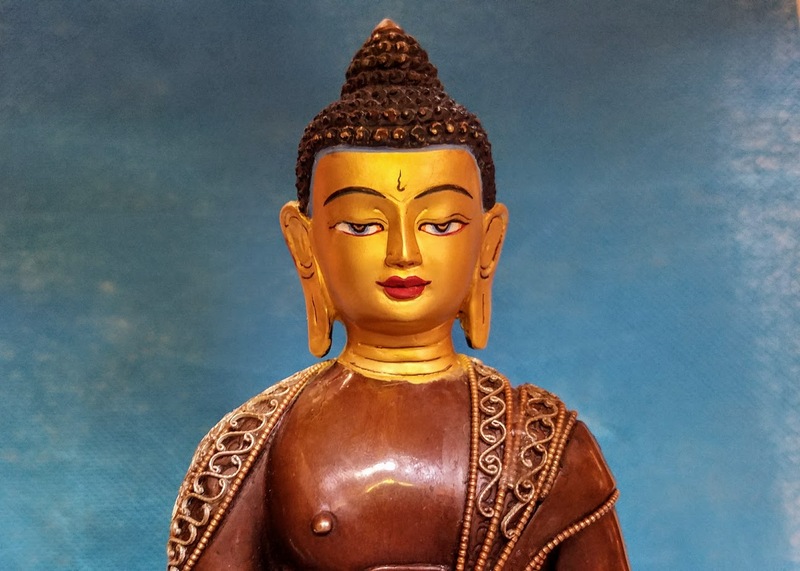 Bhutanese people treasure and revere their natural environment and habitat like no other country I've ever had the pleasure to visit. It is seen as a source of all life and the abode of gods and benevolent spirits.